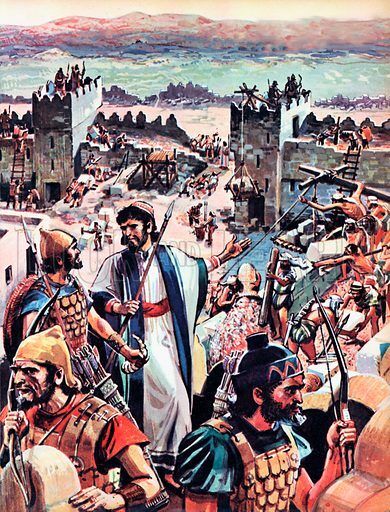 Rebuilding of Jerusalem. While they were rebuilding the walls of Jerusalem, the Jews were under constant threat of attack by the hostile trives which surrounded them. So Nehemiah ordered half of his men to arm themselves and keep guard, while the other half went on with the work. Available worldwide for immediate download up to 3,491 x 4,583 pixels.